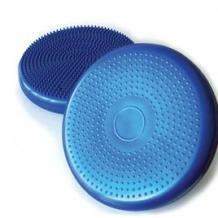 The Air Cushion will enhance your awareness, coordination and strength by sitting,standing and lying on the unit. It can be used while seated as a great way for rehabilitation. There are two textured surfaces for functional training exercises.